Street Art Festival opens hosted by the Jerusalem Center for Performing Arts inviting the public to watch the artists in action and to take part and experience art. The festival will run for three days. Admission is free. 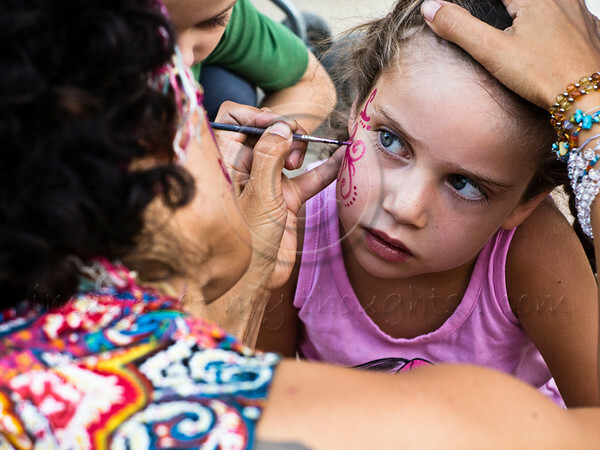 A young girl gets her face painted as Street Art Festival opens hosted by the Jerusalem Center for Performing Arts. Jerusalem, Israel. 14-August-2012.